To celebrate the Data Privacy Day, ZenMate VPN provider offers great deal with sweet discount. It provides flexible plans and affordable price. You can use the promotion link to activate the special Data Privacy Day discount. Based on your need, you can choose to sign up 1-month, 1-year or 2-year plan. The monthly plan is more flexible while the 1-year and 2-year plans include big discount. It costs $11.99 USD if you sign up every month. The 1-year plan is 67% off. It is $47.88 USD for 12 months. 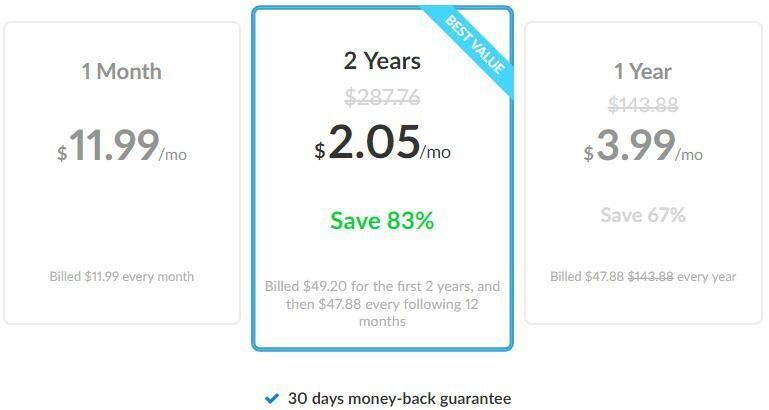 The 2-year plan is 83% off. It is only $49.20 USD for two years. That means it only costs $2.05 USD per month. Don’t you want this great deal to save money? It is a time limited offer, so grab this chance to save big soon. ZenMate is a very popular VPN that encrypts your web traffic with advanced technology & protocols and hides your IP address & spoof your location with worldwide servers. This provider offers superfast speed. They allow unlimited bandwidth and won’t limit your connection speed. They have a strict no logging policy which means they do not access or store your online activities. Your privacy is guarantee. Want the best ZenMate VPN deal? Get the Data Privacy Day special deal. It is 83% off. You can get started with it at $2.05 USD per month.